Project Manager: Applicants who have completed 1st class B.E/ B.Tech/ MCA or equivalent degree in CS/ EC/ EEE / IT with at-least 11 years of post qualification work experience or equivalent from a recognized Institute for CDAC Recruitment 2018. Project Engineer: Applicants who have completed 1st Class B.E/B.Tech/MCA or equivalent degree in Electronics & Communication/ Computer Science / Instrumentation & Control/ Electronics & Instrumentation / Electrical / Electrical & Electronics Engineering or equivalent from a recognized Institute for CDAC Recruitment 2018. Project Assistant: Applicants who have completed a Diploma in Computer Science Engineering/IT with at least 04 (four) years of post qualification work experience or equivalent from a recognized Institute for CDAC Recruitment 2018. 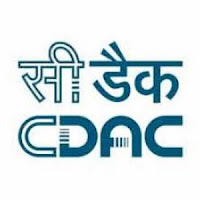 Project Technician: Applicants who have completed Diploma in Electronics / Electronics & Communication / Instrumentation /Computer Science /IT / Mechanical Engineering/ Electrical / Electrical & Electronics with one year post qualification work experience in relevant field or equivalent from a recognized Institute for CDAC Recruitment 2018.